Rip Curl employees have teamed with local community groups for the annual Rip Curl Planet Days, held since 2000. 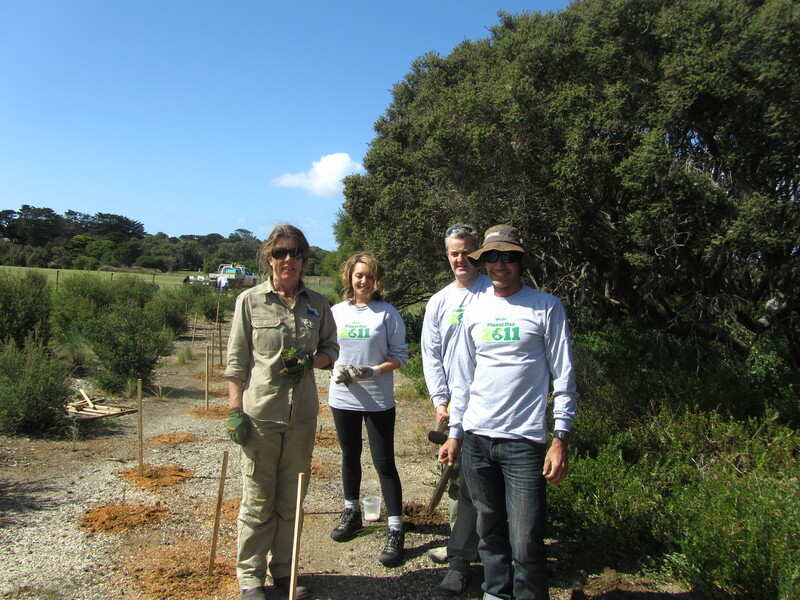 GORCC Conservation Superviser Georgina Beale with volunteers at Rip Curl Planet Day last year. The concept celebrates Rip Curl’s commitment to the environment by providing the necessary attention and resources for significant coastal management strategies on the Surf Coast. Over two days the company commits the time of all staff from the Rip Curl International head office in Torquay. Rip Curl CEO and Planet Day participant Stephan Kay shows his support of the company’s involvement. “It really gives me a sense of achievement and pride to see the transformation of the coastal foreshore that’s occurred as a result of the efforts of our staff helping the volunteer community groups. “I love seeing plants and regenerated sections of the coast that Rip Curl employees have worked on when I’m going for a surf or walking the cliffs,” Mr Kay said. The state government Department of Sustainability & Environment. Since Rip Curl initiated this annual community project in the year 2000, over 80,000 plants indigenous to the Surf Coast have been put in across the region between Point Impossible and Bells Beach/Southside. Thanks to ongoing, year-round maintenance by the local groups, areas previously worked on have flourished, with a better than 80 per cent long-term plant survival rate. Learn more about coastal environmental volunteering in our region.